The owners of Teddy’s Bigger Burgers in Hawaii plan to debut a new restaurant concept called BYO Bowls next year in the Costco-anchored Hawaii Kai Towne Center. The flagship location for BYO Bowls, now being developed by Teddy’s Bigger Burgers owners Ted Tsakiris and Rich Stula, will open in February in the Hawaii Kai Towne Center, next to Koa Pancake House. The owners of Hawaii-based Teddy's Bigger Burgers plan to debut a new restaurant concept at the Costco-anchored Hawaii Kai Towne Center in April of 2016. The new concept, an acronym for Build Your Own, will allow customers to build their own bowls by picking a starch, vegetables and protein, which are then stir fried on a large, round griddle traditionally used for Mongolian barbecue. Customers could also create fresh poke and salad bowls. Hawaii Kai Towne Center, whose tenants also include City Mill and Ross Dress for Less, is owned by an affiliate of ValueRock Realty Partners, a California-based real estate investment firm. Colliers International Hawaii represented the landlord in securing the lease with BYO Bowls. 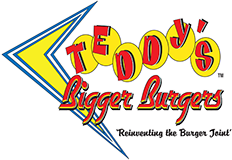 Teddy’s Bigger Burgers currently operates 22 locations in five states and three countries, including the Philippines, Thailand and Japan. Darin Moriki covers residential real estate, retail and restaurants for Pacific Business News.